We salute our veterans, active duty military personnel, retired military and military spouses and dependents. Thank you for your service! We understand that CBD oil can have a life-changing impact on certain conditions that affect members of our military. CBD, or Cannabidiol, has seen success in helping to treat symptoms of post-traumatic stress disorder (PTSD), anxiety, chronic pain, insomnia and more. To show our appreciation for your service, we’re proud to offer a lifelong 15 percent discount for active and retired members of the military. Fill out the form on the right to redeem your CBD discount. Providing valid photo ID is optional. CBD is a compound found in Marijuana and Hemp plants, and it is known for its therapeutic properties. CBD is a natural “cannabinoid” and it interacts with your body’s Endocannabinoid system, which consists of a network of cannabinoid receptors. 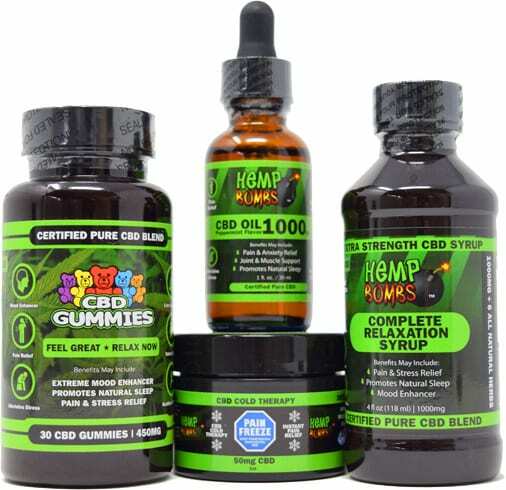 CBD has potential to help with a wide variety of physical and mental health conditions, including anxiety, PTSD, insomnia, chronic pain, bone and muscle issues and more. What are the benefits of CBD for veterans? Sadly, our military personnel are often at a higher risk for developing PTSD, a condition that can arise after enduring or witnessing a traumatic event. Symptoms of PTSD can include behavioral changes, trouble sleeping, traumatic flashbacks, nightmares, and elevated anxiety. Because CBD is commonly used to help regulate mood, anxiety levels and sleep patterns, it is often effective in helping PTSD sufferers find relief. CBD can also help relieve physical pain of the muscles, bones and joints. That's why CBD is often a popular supplement for physically active people and athletes. It may also relieve pain following an injury or a surgery. CBD has natural anti-inflammatory properties which may aid the healing process. Are Hemp Bombs CBD products legal? Yes. Our CBD is extracted from premium Industrial Hemp and our products contain zero traces of THC. This allows us to maintain legal compliance, and our products are federally legal. Due to the complete absence of THC, our CBD products will not cause you to fail a drug test. No. CBD is non-psychoactive, and it will not cause you to get “high.” However, our customers commonly report CBD helps them relax into a state of calm. Our products do not contain THC, which is the compound found in Cannabis plants that causes a euphoric or “high” feeling.